In the same year, 1982, Si Gung Ma accepted Joce Santa Maria as a student. Si Fu Santa Maria had been a chronic asthmatic since early childhood although he had been athletic from a young age. Si Fu needed a sport that could keep him fit as well as enhance his overall health. He was always renowned for his volleyball skills serving as a representative for the NSW state team. Although he loved volleyball, his passion for Pak Hok Pai Kung Fu grew. 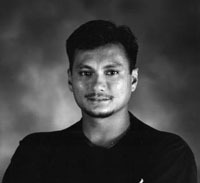 When interviewed, Si Fu Santa Maria explained "Pak Hok Pai has provided an insight into culture that I had not seen in many others and had enhanced my sphere of knowledge to understand how a sport could roll into something ecstatically beautiful and culturally fulfilling and yet provide the focus to be confident in tackling any given task with the best of our abilities. This I found in Pak Hok Pai". The frame of mind that Si Fu Santa Maria developed allowed him to become very close to his Master. Little did Si Fu Santa Maria know what Si Gung Ma had in store for him… he was taught on a one to one basis, where he learned much of what Si Gung Ma had to offer. The 1980s brought about much glory for Pak Hok Pai through the tournaments, where we excelled not only nationally but also internationally. This allowed us to grow, starting from Sydney's Chinatown outwards into the open where now many divisions exist around Australia. Pak Hok Pai participation in the Chinese Martial Arts Association led by Si Gung Ma allowed us to display our school as being one of high respect and integrity thus increasing the popularity of our system. This allowed many renowned artists to visit the school such as Jet Li. 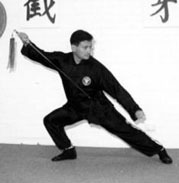 The school stabilised over the 1990s with a growth in instructors and saw the inclusion of Pak Hok Pai as a sport in many exclusive and private schools across the regions. Introducing self-defence programs for the community aid was successful. The growth resulted in an awareness of the art that was once a very secret style and kept insular by all the disciples. 1997 was a big year for Pak Hok Pai Australia, Campbelltown. It was early December when we had the official opening of the Gwoon. Si Fu Santa Maria played the key role in establishing a permanent home and identity within the community. Unity within the school has always been strong, a quality that has been shown and understood by all who spend the time to learn from Si Fu Santa Maria what Pak Hok Pai is all about which in turn has guaranteed the future of our family. Recently Si Fu Santa Maria went to Hong Kong where he received a gold medallion with a picture of the seal imprinted on its face. 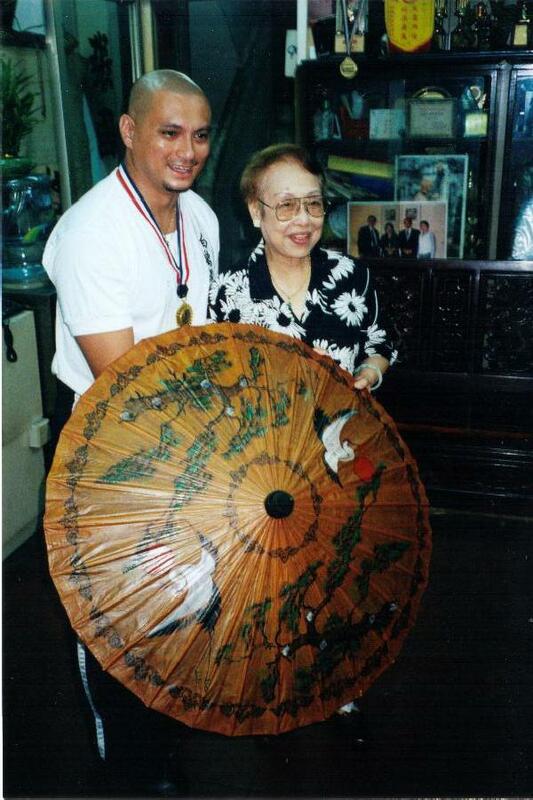 This was presented by Si Ti Po (Grandmaster Ng's wife). The medallion was a token of his accomplishments for Pak Hok Pai in Australia. This type of recognition does not occur too often and it was a great honour to see Si Fu Santa Maria receive such a medallion.